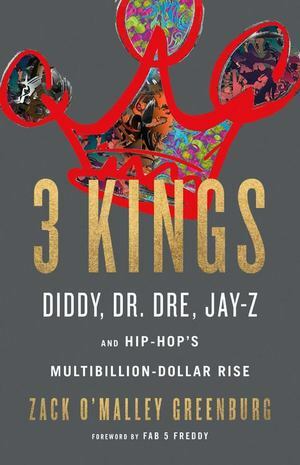 Tracing the careers of hip-hop's three most dynamic stars, this deeply reported history brilliantly examines the entrepreneurial genius of the first musician tycoons: Diddy, Dr. Dre, and Jay-Z Being successful musicians was simply never enough for the three kings of hip-hop. Diddy, Dr. Dre, and Jay-Z lifted themselves from childhood adversity into tycoon territory, amassing levels of fame and wealth that not only outshone all other contemporary hip-hop artists, but with a combined net worth of well over $2 billion made them the three richest American musicians, period. Yet their fortunes have little to do with selling their own albums: between Diddy's Ciroc vodka, Dre's $3 billion sale of his Beats headphones to Apple, and Jay-Z's Tidal streaming service and other assets, these artists have transcended pop music fame to become lifestyle icons and moguls. Hip-hop is no longer just a musical genre; it's become a way of life that encompasses fashion, film, food, drink, sports, electronics and more - one that has opened new paths to profit and to critical and commercial acclaim. Thanks in large part to the Three Kings-who all started their own record labels and released classic albums before moving on to become multifaceted businessmen-hip-hop has been transformed from a genre spawned in poverty into a truly global multibillion-dollar industry. These men are the modern embodiment of the American Dream, but their stories as great thinkers and entrepreneurs have yet to be told in full. Based on a decade of reporting, and interviews with more than 100 sources including hip-hop pioneers Russell Simmons and Fab 5 Freddy; new-breed executives like former Def Jam chief Kevin Liles and venture capitalist Troy Carter; and stars from Swizz Beatz to Shaquille O'Neal, 3 Kings tells the fascinating story of the rise and rise of the three most influential musicians in America.